Young Gifted and Black: Oliver Stone will NOT be contributing to MLK Film., says this: So called, "Respectable" black community suffocate him"..Woah! Oliver Stone will NOT be contributing to MLK Film., says this: So called, "Respectable" black community suffocate him"..Woah! So this is interesting, and his argument falls along the same lines of our segment on Dr. King's Legacy on How We Do It Radio. While digging out some facts about the man first named Michael, for our show, it dawned on me just how much some in the black community do not know about his struggles as a HUMAN... So I agree with Oliver Stone, whom is a respected director in the creative community, one who seeks truth, I definitely consider him a "TruthSeeker", not an Exploiter. 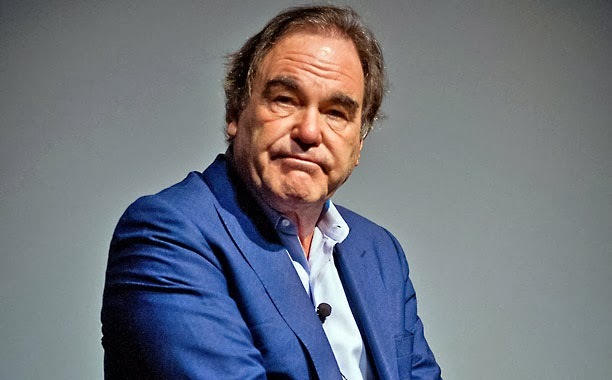 Oliver Stone announced Friday that he is no longer on board to write and direct a biopic about the Civil Rights leader. Stone took to Twitter to explain that his rewrite of the script, which dealt with “issues of adultery, conflicts within the movement, and King’s spiritual transformation” was not well received by producers. It’s unclear how or if Stone’s leaving will affect Jamie Foxx, who was attached to star in the DreamWorks and Warner Bros production.